These copper coins were used during the reign of the East India Company. 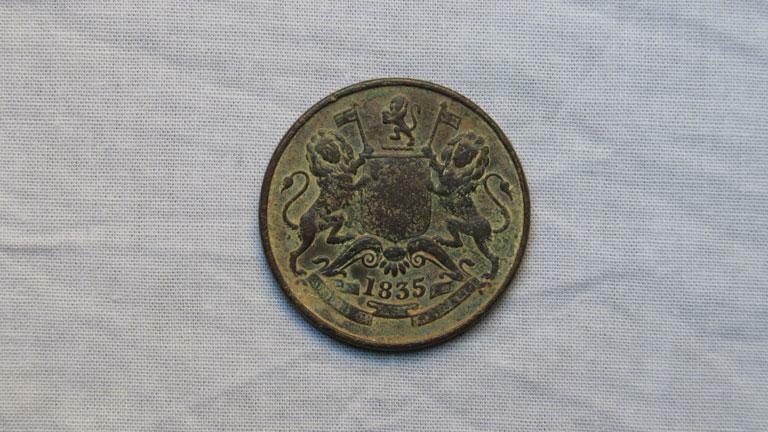 Obverse: Coat of arms of the East India Company: 2 lions, St. George's cross on the crest and flags. 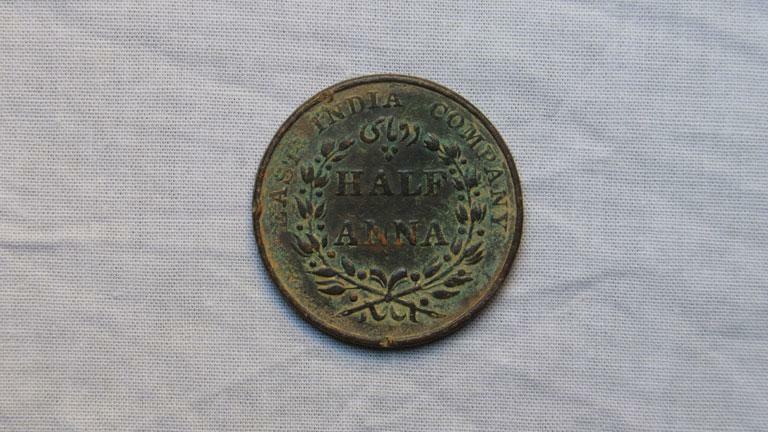 Reverse: Lettering in English: EAST INDIA COMPANY on the top half. In the center, it is written HALF ANNA and is surrounded by a floral design.